We’d love your help. Let us know what’s wrong with this preview of Your Guide to the National Parks by Michael Joseph Oswald. With more than 530 color images, 140 easy-to-read maps, and 55 hiking tables make this guide to America's most scenic wilderness areas - all 58 national parks - the most appealing, comprehensive, and indispensable book of its kind. This guide provides step-by-step itineraries, kid-friendly activities, and the most popular ranger programs to help plan your family vacation. With more than 530 color images, 140 easy-to-read maps, and 55 hiking tables make this guide to America's most scenic wilderness areas - all 58 national parks - the most appealing, comprehensive, and indispensable book of its kind. To ask other readers questions about Your Guide to the National Parks, please sign up. I will admit I haven't had a chance to travel since I got this book. However, my friends and family were visiting over memorial day weekend and got to talking about some attraction near my sister's house in Ohio. I grabbed this book which I had been perusing and we spent hours leafing through the pages and discovering all sorts of random finds hidden within. There are some places that are not to be missed if you are touring any of the national parks and you will read about them here! I love a ro I will admit I haven't had a chance to travel since I got this book. However, my friends and family were visiting over memorial day weekend and got to talking about some attraction near my sister's house in Ohio. I love a road trip, and this book has inspired one, so I can see a day coming soon when I will be heading out and taking this book with me. There are a lot of little blurbs about interesting attractions, restaurants, and festivals that are close to national parks. Oswald has included, of course, a wealth of information about the parks themselves. Pointers on what to pack, where to park, and how to handle an emergency are nestled among some gorgeous photographs of our national parks. There are also maps, trip suggestions, and so, so many insider tidbits. I can tell that Oswald has traveled and hiked and spent a lot of time in the parks and is uniquely qualified to give advice about it. I'm ready to win another Goodreads book. AND this one should be the one. Love the National Parks and have been to many of the Parks the past 20 years. This book has excellent ratings so it should be a good one to have handy around the house. Update --- going on a Western states vacation, via train, this Spring 2014 and I am using this book as a bigtime guide. Great info. Thanks again for this top of the line book. This book is AWESOME and packed with so much information! And very soon to be very battered, dogeared, and loved like crazy. Its already loved like crazy... but it will be physically visible lol! Whoa, now this is a guide. In this age of everything online, this book is really a guide that adds to the information that is out there on the National Park Service web sites. Great maps, glossy photos, various costs, and I particularly liked the “Don’t Miss” notes on the various trails or sites. Since there are so many things to see in a park, I found these most helpful. Also each region has a section on “What’s nearby”, which covers places to stay, other things to see, places to eat. I am part Whoa, now this is a guide. In this age of everything online, this book is really a guide that adds to the information that is out there on the National Park Service web sites. In this ultimate guide, Michael Oswald presents the reader with everything you need to know before visiting any of the 58 National Parks, with over 140 easy-to-read maps, 530 images, and 55 hiking tables. The book includes 11 potential road trips and suggested pit stops beyond the parks, as well as a family vacation planner with step-by-step itineraries and kid-friendly activities. Each park guide contains beautiful photos, commentary on park history, geology, flora and fauna, activities, suggestions on when to go, vacation planner, visitor centers and Park Headquarters, kids activities and pet regulations as well as wheelchair accessibility and typical weather conditions. The front of the book features a “Best of the best” section to help readers find the best locations for hiking, backpacking, paddling, whitewater, horseback riding, and fishing, as well as the best parks to visit for beaches, caves, waterfalls, and more. It also contains great tips and info to get you prepared before your trip, including park pass information and rates, helpful advice on what to pack, camping regulations, money-saving travel tips and even a few photography tips. This book literally has it all – there’s just too much to list in this review, and at over 680 pages, you can be sure it’s packed full of valuable info. The parks are separated by region, making them easy to find, and includes an index in the back for easy look-ups. I loved reading the “did you know?” fact sections, which offer some really interesting information on the parks, and the pictures are absolutely beautiful. This book is a must-have for anyone wanting to explore our National Parks. I got this book on a Giveaway, First Reads. I have never been to a National Park evidently. I have driven along the borders of about ten of them. I lived in south Florida where three of them are and never set foot in them but just on the border of them. Sadly, I thought I was a nature lover too. Maybe not so much, or maybe if you count the NWRs. That said, I picked up this book and looked at it just to get an idea of format, information given, and pictures. The book pulled me in and I couldn't pu I got this book on a Giveaway, First Reads. I have never been to a National Park evidently. I have driven along the borders of about ten of them. I lived in south Florida where three of them are and never set foot in them but just on the border of them. Sadly, I thought I was a nature lover too. Maybe not so much, or maybe if you count the NWRs. That said, I picked up this book and looked at it just to get an idea of format, information given, and pictures. The book pulled me in and I couldn't put it down. I ended up reading a lot of it by accident. It has many pictures, it has maps to get to the parks, and the layout of the parks. It has a good chunk of history. I learned things about my own backyard parks I didn't know. This book is a great reference for people wanting to research the parks. It good for school projects. So glad that I got this through the Goodreads First Reads! I really wanted it! This is an amazing compilation of resources and information! I had no idea how many treasures were in my own back yard! My family and I have marked several parks for exploration this spring and summer. In fact, we've placed this in the car so that it is with us on all our road trips! A must have for anyone who loves the great outdoors and adventure! While I haven't read through the entire book, what I have read has impressed me. This book has been instrumental in helping with plans for our family trip this year. Catalogued and color coded by regions (East, North, South, Southwest, West, Alaska & The Remote Islands) this is a comprehensive, easy-to-read guide to the National Parks. There is Park Information (Location, Phone Number, Fees etc. 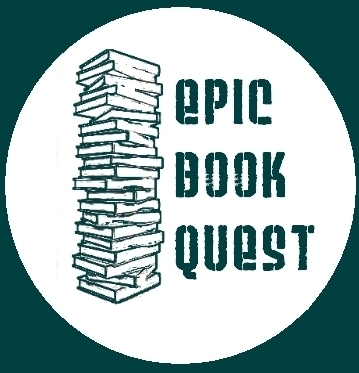 ), History, Directions, When to Go, Maps, Pictures, Hiking Tables, Other Activities to do in the P While I haven't read through the entire book, what I have read has impressed me. This book has been instrumental in helping with plans for our family trip this year. Catalogued and color coded by regions (East, North, South, Southwest, West, Alaska & The Remote Islands) this is a comprehensive, easy-to-read guide to the National Parks. There is Park Information (Location, Phone Number, Fees etc. ), History, Directions, When to Go, Maps, Pictures, Hiking Tables, Other Activities to do in the Parks, Winter Activities (if applicable) a Flora & Fauna section, a Vacation planner, an information section that includes for kids, weather, accessibility, and pets. Also included was a guide of nearby activities/places that will be of use like Dining, Grocery Stores, Lodging, Attractions, and Events. There is also the introduction which you should read first for information on available passes, some general guidelines, best of the best, etc. So, a lot of information. I'll highlight a few of the things I loved about this book. Pictures/Maps - so useful and nice to look at. Hiking Tables - I really loved this one - it shows the Hiking Trails at a park giving the following information: Trail Name, Trailhead, Length (Roundtrip unless otherwise noted), & Notes (like landmarks you may see, pass by). It also had a thumbs up next to recommended trails. Beyond that the Activities section was also extremely useful - there is more to these parks then just hiking and driving around to take pictures. Also useful to me was the Pet's area - most of the places we plan to go don't allow pets on the trails (understandable but still disappointing), but from the introduction we knew that pets would limit us (unless boarded). 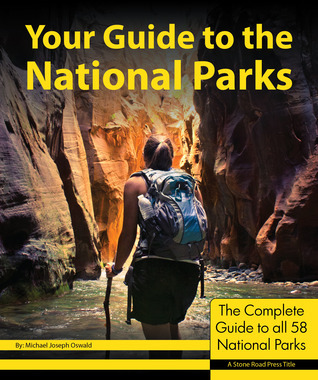 Your Guide to the National Parks by Michael Joseph Oswald is a wonderful paperback book (almost 700 pages) covering all 58 US NPS National Parks.In addition to the basic information, the book includes the very helpful "What's nearby." From first-hand experience traveling to almost half of our national parks over the last 40 years (I now have a Senior Pass - explained on page 2), I know the hardest information to find is the location of the nearest grocery store and something to do when the family Your Guide to the National Parks by Michael Joseph Oswald is a wonderful paperback book (almost 700 pages) covering all 58 US NPS National Parks.In addition to the basic information, the book includes the very helpful "What's nearby." From first-hand experience traveling to almost half of our national parks over the last 40 years (I now have a Senior Pass - explained on page 2), I know the hardest information to find is the location of the nearest grocery store and something to do when the family has OD'd on hiking and natural history. The "What's Nearby" section comes to the rescue here. Loved this! can't wait to go on some adventures! Really helpful guide for my cross country road trip this year. I liked being able to research the parks I would be visiting in the near future. It was very extensively researched although as of 2017 it was dated and inaccurate in many places, as my copy I think was 2012 or around there. I'm sure there is a more recent version but I didnt have it. I took many of this books suggestions, mostly on the hiking section, as many of the recommendations didnt apply to me. I disliked this book because it is organized regionally. I think a reference book would be a LOT more useful if it organized the content (ie the parks) alphabetically. It was not a useful book for travel or for home research and we wound up donating it. I have always loved traveling and being outdoors so I was thrilled to receive Your Guide to the National Parks. As a child my parents took us camping all over the United States one summer and we hit up many of the National parks. That’s when my love for them began. As an adult, I fell in love with hiking and wanted to hike all of the National Parks. Financially it’s not exactly reasonable but I have visited many and now with this guide, I can find the ones that are closest, easiest to get to and I have always loved traveling and being outdoors so I was thrilled to receive Your Guide to the National Parks. As a child my parents took us camping all over the United States one summer and we hit up many of the National parks. That’s when my love for them began. As an adult, I fell in love with hiking and wanted to hike all of the National Parks. Financially it’s not exactly reasonable but I have visited many and now with this guide, I can find the ones that are closest, easiest to get to and that are top on my list. This book has all the information you ever thought you’d need and more! From weather, when to go, transportation, directions and general information this book actually made me realize there were a lot of things I don’t think of when planning a trip but need to! I loved that the maps include things like hiking trails as well as “must do” items. Certain parks are known for things you don’t want to miss out on but may not even be aware of. This is definitely the most informative travel book I’ve ever seen and leaves absolutely nothing out. Some people get nervous about traveling and this guide even gives you local shopping and dining so you can plan out every last detail and feel confident you know what you’re getting into. I won a free copy of this book through Goodreads First Reads, which made me very happy because this book is right up my alley. My husband and I enjoy hiking and camping, and we have a small collection of state and national park guides with a focus on geology. 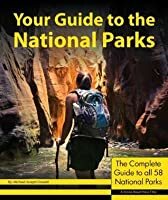 Your Guide to the National Parks has information on 58 of the 59 National Parks (the latest, Pinnacles National Park, formerly a monument, became a national park after this book was published). It has historical and geological background, h I won a free copy of this book through Goodreads First Reads, which made me very happy because this book is right up my alley. My husband and I enjoy hiking and camping, and we have a small collection of state and national park guides with a focus on geology. Your Guide to the National Parks has information on 58 of the 59 National Parks (the latest, Pinnacles National Park, formerly a monument, became a national park after this book was published). It has historical and geological background, hikes, park amenities, camping and day pass fees, best times to visit, directions, maps, and can't-miss natural wonders for each park. It also has additional information on other nearby attractions, grocery stores, lodging, restaurants, and festivals. This is a fantastic guidebook to the National Parks. Just about everything you need to know about each National Park is included in this book. The author's explanations are so detailed, and give really great travel tips for each park and nearby locations. Some side trips are also included, which is a fun detail. This really is a wonderful book for anyone who enjoys the National Parks, and who may be taking a road trip in the near future. This book is awesome! Pictures are beautiful, details are excellent, and the advice is spot on! When visiting the Grand Canyon, pay attention to what the guide says. My husband and I have talked to many tourists that have complained about the $80 skywalk. Dining, grocery stores, camping, and family activities I mean this book has it all! I am definitely suggesting this book to all my fellow travelers! I received this book free from a Good Reads contest . This book is just full to the brim with things you need to know when visiting national parks, tips, hints, lists, and maps. I will make sure this book goes with me if I go to a national park on a vacation . It is very informative and has things that every vacationer should know. There's a wealth of information here - maps, photos, lists, itineraries, and stories - that are really handy both on a practical level for those planning an outing to a national park, and on a historical level for those who are fascinated by the background of the park system. This is an incredible resource for any outdoor enthusiast, and it just might persuade you to take a camping road trip. Browsed through the whole book, and read the portion on Glacier in depth. Really beautiful book with tons of information. A great reference for the future. Happy to see the author is a UW alum and currently living in NE Wisconsin! Shop local as they say! To miss". We can hardly wait to see more and more of our beautiful country! This has been a great resource! We have a crazy goal of visiting all NPs before the kids are 18. After reading this though I think we need to change it to before the kids turn 60. There's just too much to see! This book has an incredible amount of information about the parks, what to do in them, camping, restaurants, lodging and so much more. A wonderful resource when planning a trip. This is a really good resource to use for 90 or so big national parks. It provides visitors with information that can be used to plan a visit to one of America's parks. I haven't read the entire book, yet. The sections I did read for my trip to Zion and Bryce Canyon were extremely helpful. I look forward to using this guide to plan trips to other national parks! Received as a Goodreads giveaway. This is a fantastic book with insermountable information, and beautiful pictures. Great reference. Can't wait to seek out some of these National Parks! Michael Joseph Oswald (born June 18, 1980) is an award-winning American travel writer. In 2003 he graduated from the University of Wisconsin-Madison with degrees in electrical engineering and chemistry. After four years working in a corporate environment, he escaped to a more adventurous lifestyle only to be mugged in Colombia, South America. Injuries sustained required surgery, and failure to fol Michael Joseph Oswald (born June 18, 1980) is an award-winning American travel writer. In 2003 he graduated from the University of Wisconsin-Madison with degrees in electrical engineering and chemistry. After four years working in a corporate environment, he escaped to a more adventurous lifestyle only to be mugged in Colombia, South America. Injuries sustained required surgery, and failure to follow doctor's orders blessed him with a permanently prostrate pinkie. This unfortunate event resulted in prompt return home and pursuit of safer travel: kayaking, biking, and hiking across America's National Parks. The fruit of these endeavors is Michael's debut title: Your Guide to the National Parks.